Here is an early attempt at this target. For a more recent attempt look here. Calibration and stacking done with Images Plus. This image was saved as an eight bit JPEG to keep the stars small. Next digital development processing was used to greatly stretch the image and this was then also saved as a JPEG. The stretched image was loaded into Paint Shop Pro and the stars were separated from the rest of the image. SIM (screen inverted mask) processing was applied to this DSO layer to enhance the faint nebulousity. A curves layer was used to increase the contrast of the SIM processed layer. Next, background correction and noise reduction was applied. The first stored JPEG was loaded as the star layer. The star colour was enhanced. A slight tracking error was removed from the star layer. Finally the star and DSO layers were recombined to produce the final image. 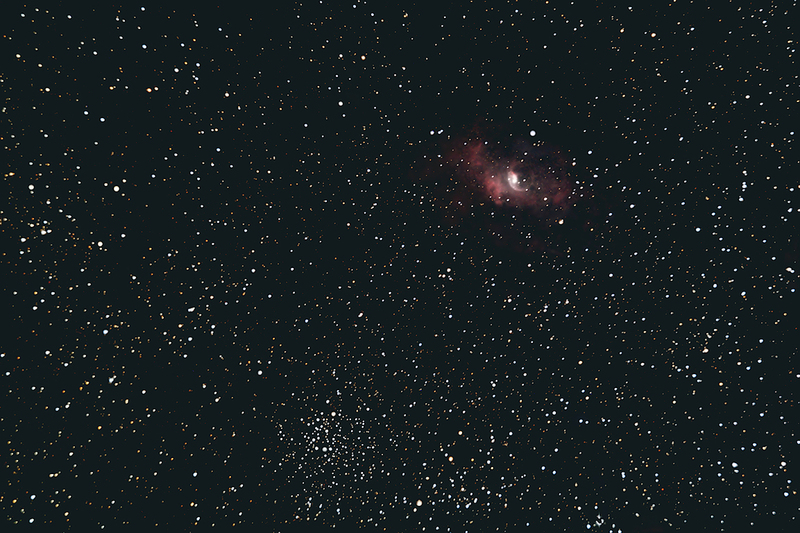 All this processing reviels the bubble much better than my original attempt. There is more faint detail and the star colour is greatly enhanced. 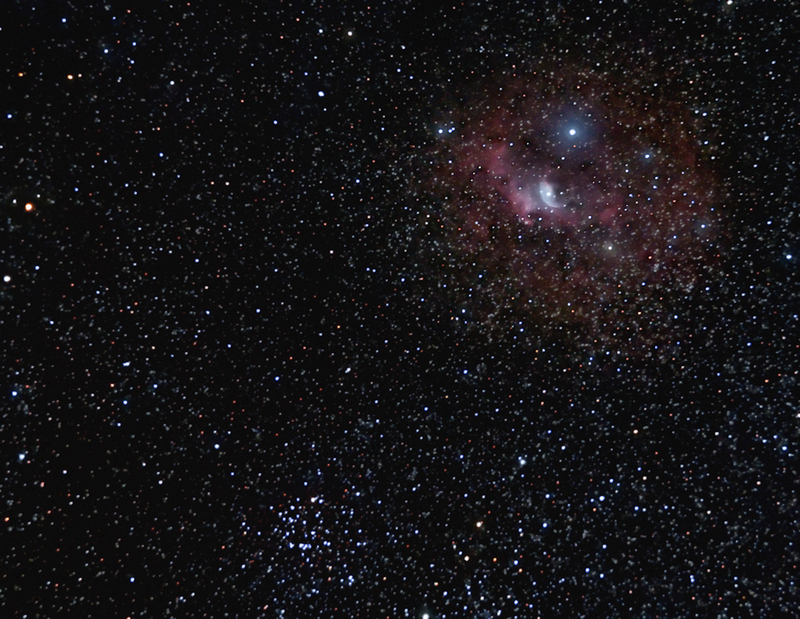 The down side is a few fuzzy stars as I got lazy in cleaning up after eroding away most of the stars in the DSO layer. All in all, not bad for a 25 minute exposure taken with an unmodified Canon DSLR. This redo of the processing was prompted by an excellent wide field shot taken by Chuck Kimball of the same area. Chuck's shot was a guide to what was nebula and what was simply noise. Chuck's image can be viewed here.